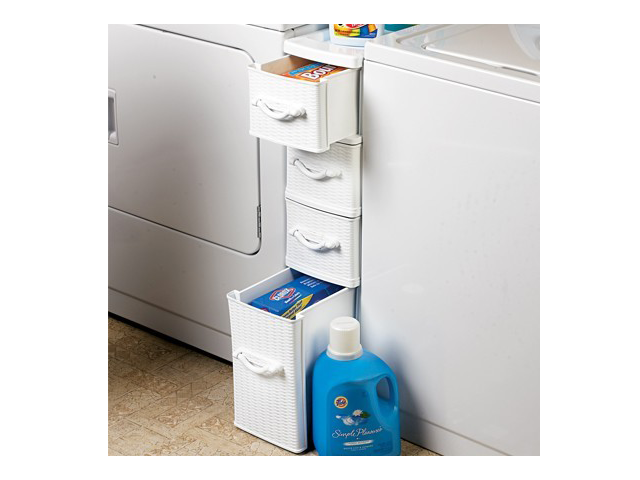 I happened to stumble upon this cute laundry organizer today. It seems perfect for small places and should be able to fit between the washer and the dryer. I recently moved to a smaller apartment in San Francisco, because living alone here is godawful expensive, so I am searching for ideas to optimize my space. Oh, I love that. Sadly the space between my washer and dryer is pretty much nonexistent. So I wouldn't be able to do this, but still what a great idea.